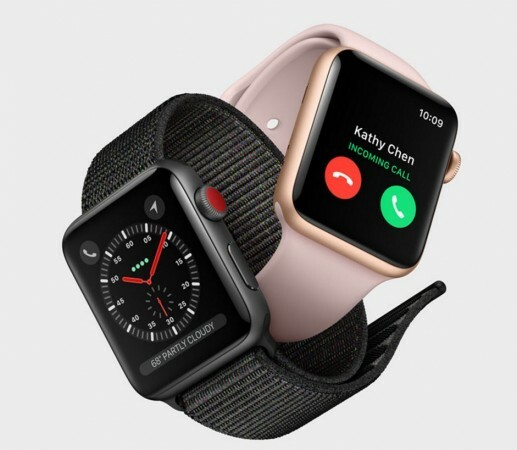 Apple Watch Series 3 (GPS + Cellular), which comes with an electronic SIM can be used with customer’s existing Airtel or Reliance Jio number. Apple iPhones compatible with the Apple Watch Series 3 include iPhone SE, 6 (& 6 Plus), 6s (& 6s Plus), 7 (& 7 Plus), 8 (& 8 Plus) and iPhone X. The phones will need to be upgraded to iOS version 11.3 or above.